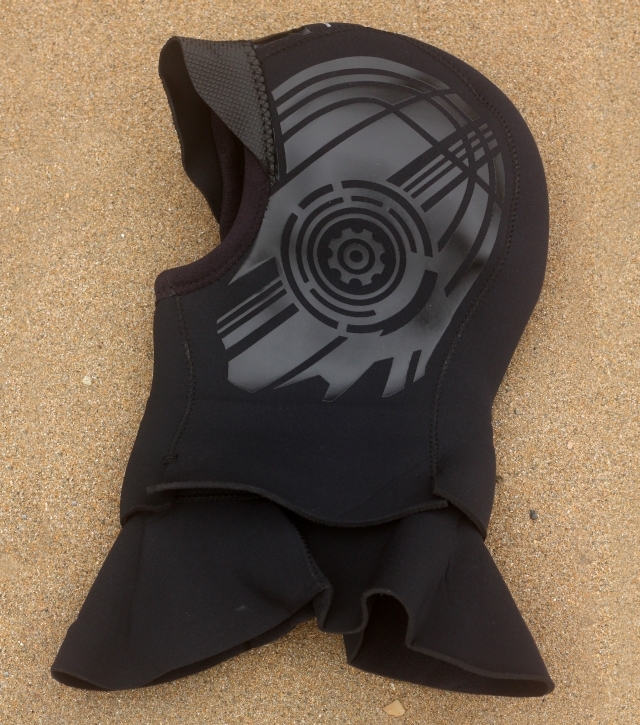 Wetsuit Hoods – Where Is Your Head At? This time of year is cold. Especially so if you are a surfer. The sea is cold. The wind is cold. The rain is cold. Everything is cold (even the inside of your van)! That is why you’d be crazy to go into the water at this time of year without a hood. It’s said that around 45% of your heat is lost through your head, so without a hood you are going to get some serious brain freeze! That’s why I’ve just upgraded my headgear and got this new hood from Gul. I took the Gul Twin Neck Blindstitched Hood out last week to give it a test drive and see how it stood up to the near arctic conditions (possible exaggeration) Cornwall seems to be experiencing at the moment. The nearly all black design makes the hood look sleek and means that you can team it up with almost all wetsuits, without it looking mismatched. On the sides of the head are mechanical looking designs which look really cool and give it a bit of added style and detail. The Gul hood is made of quality materials which is obvious from the look and feel of it. Lined with a soft inner the hood is very comfortable and wont be making your ears rub or you feel uncomfortable. Titanium neoprene performs as good as it sounds giving a cosy cover to your head, neck and rosy cheeks! In the water I found that the Twin Neck design worked very effectively and that the hood’s peak stopped irritating water run off after duck dives. It was snug yet comfortable, prevented most water ingress and was flexible. It performed brilliantly, noticeably better than my last hood and will definitely be becoming a winter staple for me.